I’m not a huge Star Trek fan but I think this shirt is from an episode. I like this shirt because the material is soft and it feels and fits great. The only downside is the color. It’s a light tan color which is unfortunate since lighter colors tend to stain easier. 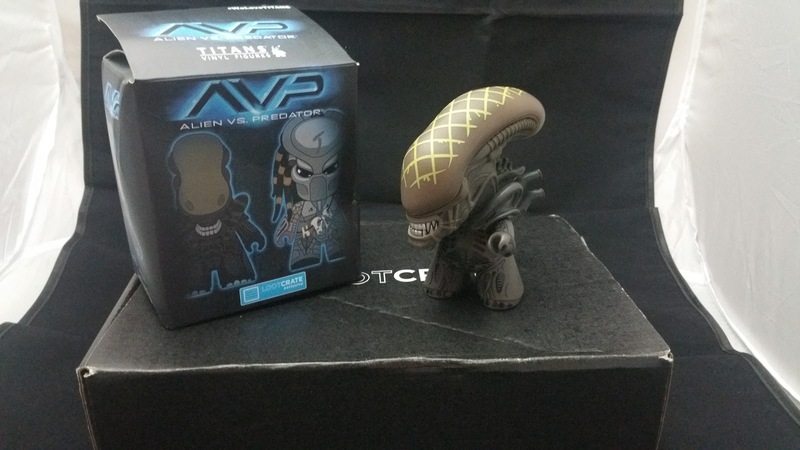 Next up is an Alien vs Predator vinyl figure from Titans. The figure is slightly pose able with the arms and head able to move. I got a Xenomorph but I was hoping for the Predator. I have watched all the Predator films and one from the Aliens series. 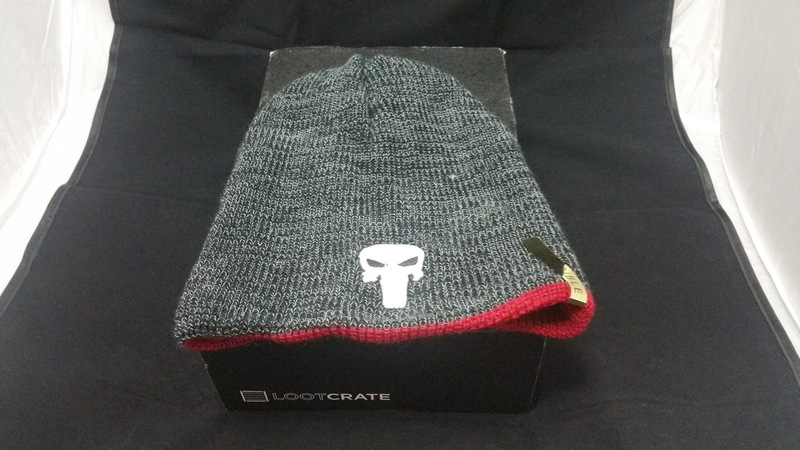 The other wearable in this box is a reversible Daredevil/Punisher beanie. 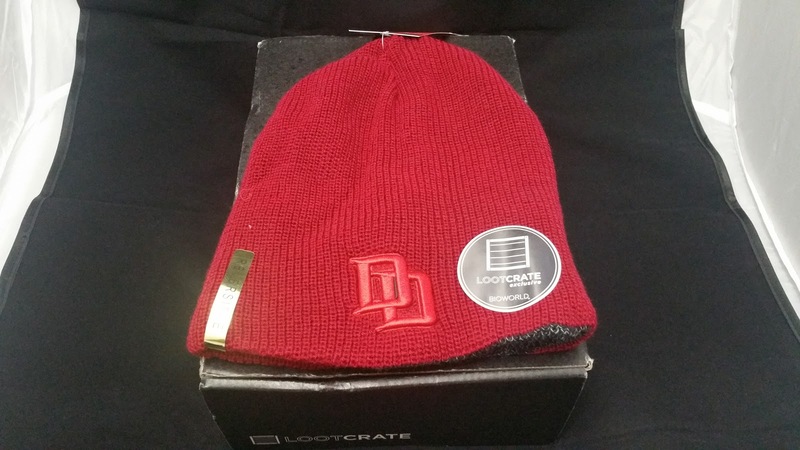 It’s a cool beanie but I’ll probably wear it only when I travel. Guam’s weather is not cold enough to warrant a beanie. 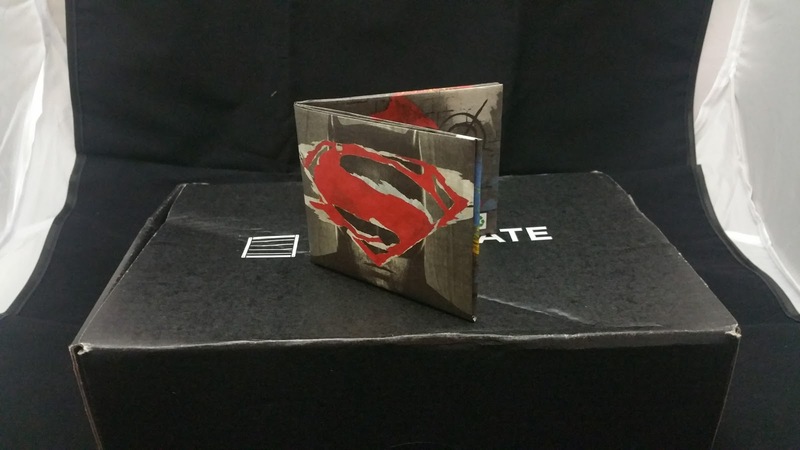 The Batman vs Superman item is a mighty wallet. 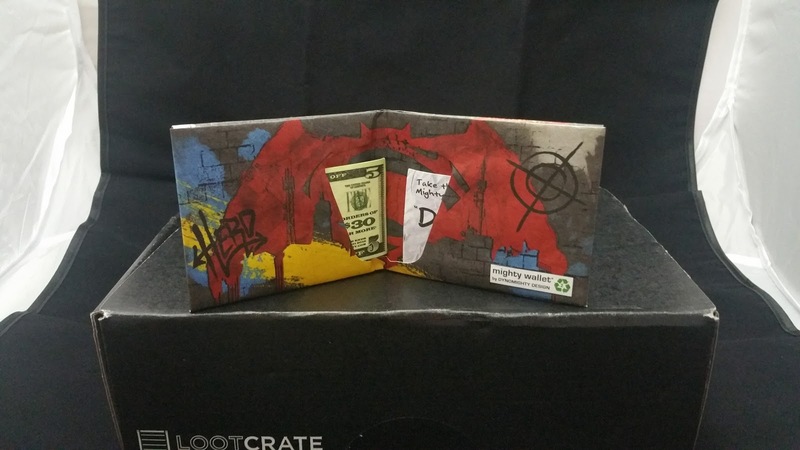 I have a few mighty wallets from Loot Crate and I haven’t used any of them. Wish it was a different item. 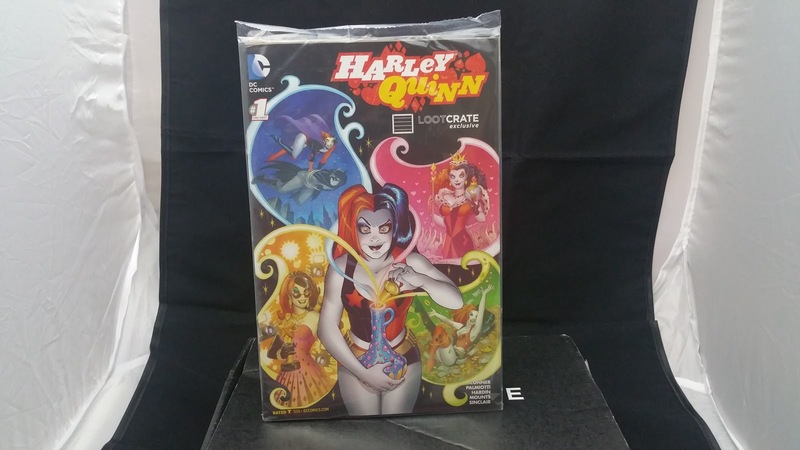 This Loot Crate exclusive is a Harley Quinn comic. I’ll probably read it but I’m not a huge fan of DC ip’s. 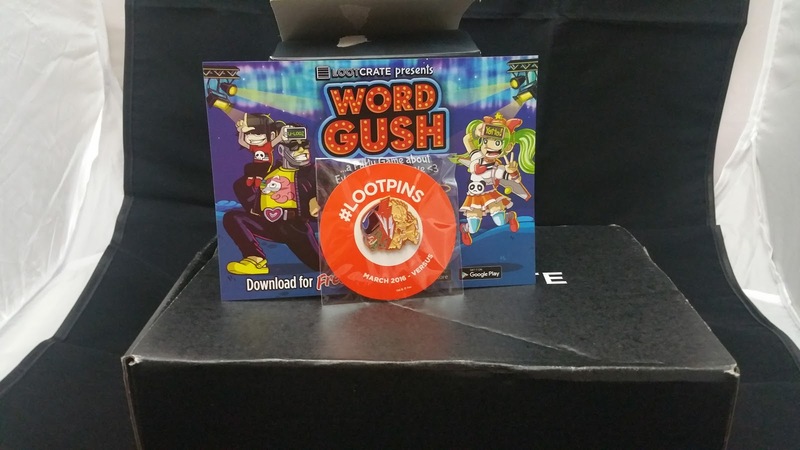 Loot Crate also created another game app for this month. I haven’t played it yet but I’m not sure if I will download it. I’ll probably download it to try it out at my next game night. 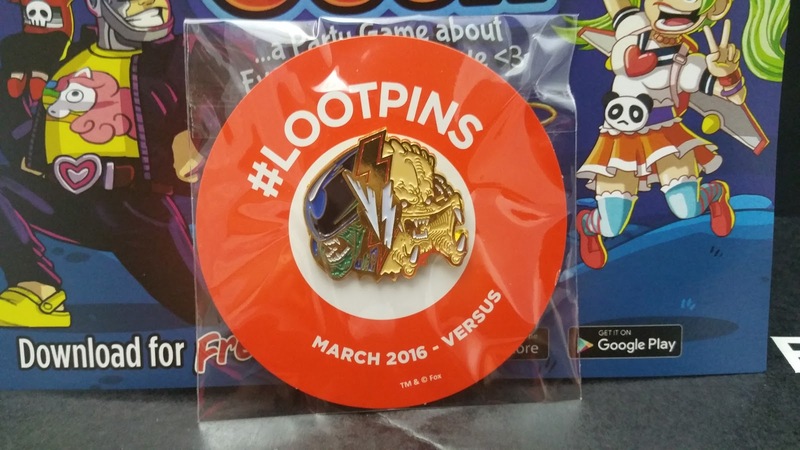 The pin for this month is a cool AVP inspired pin. You also get a free stream of Aliens or Predator on Vudu.com, or a free download of AVP: Three World War #1 from ComiXology. 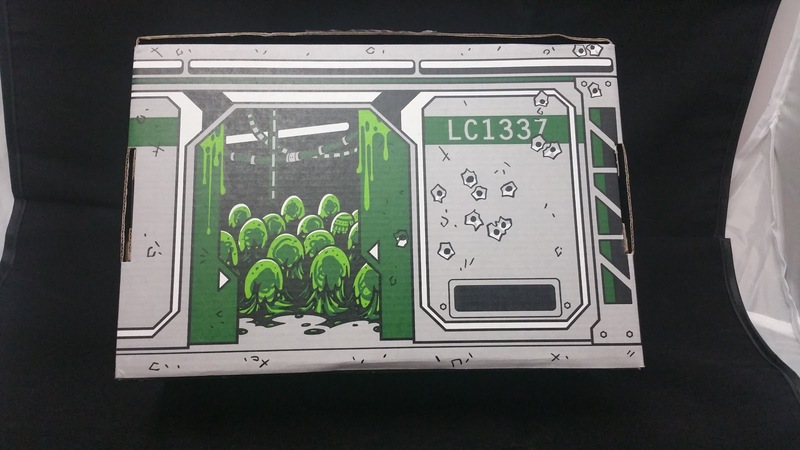 The box has art inspired by Aliens and Predator. 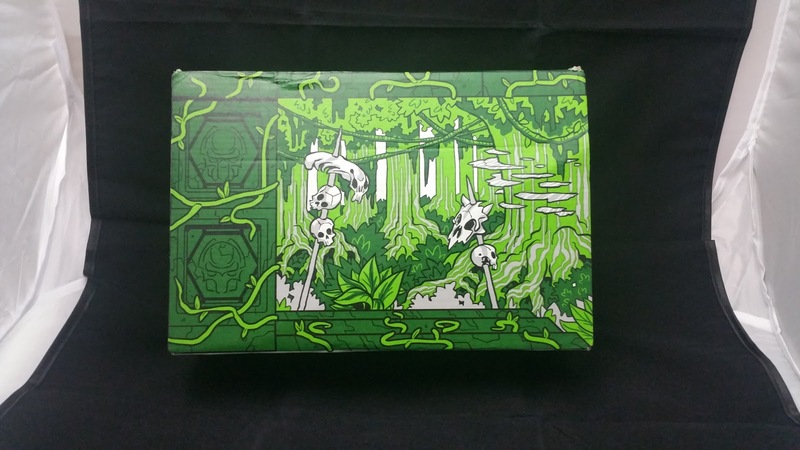 I liked the majority of items in this months box. 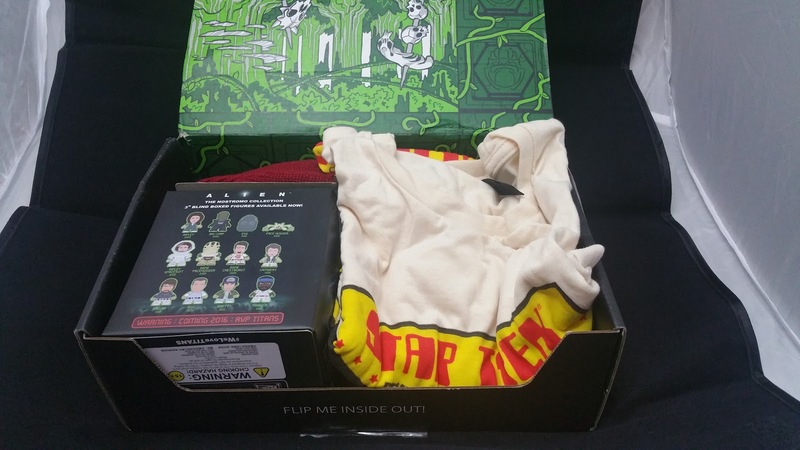 The beanie and the AVP figure were my favorites. 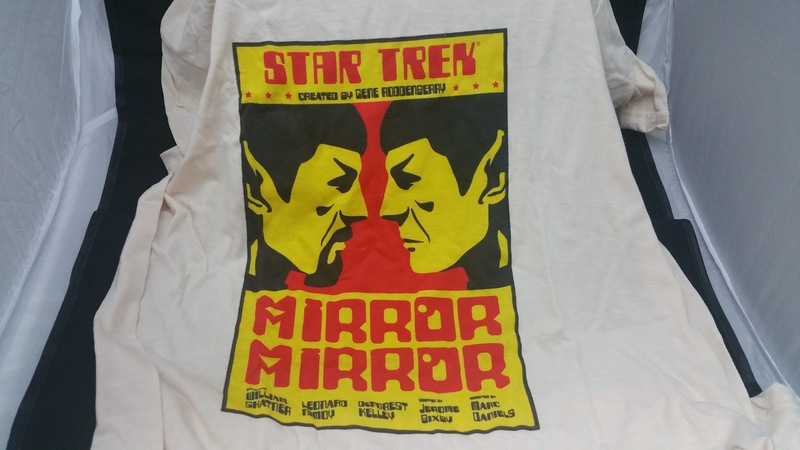 The t-shirt is okay but I’m not a huge Star Trek fan. 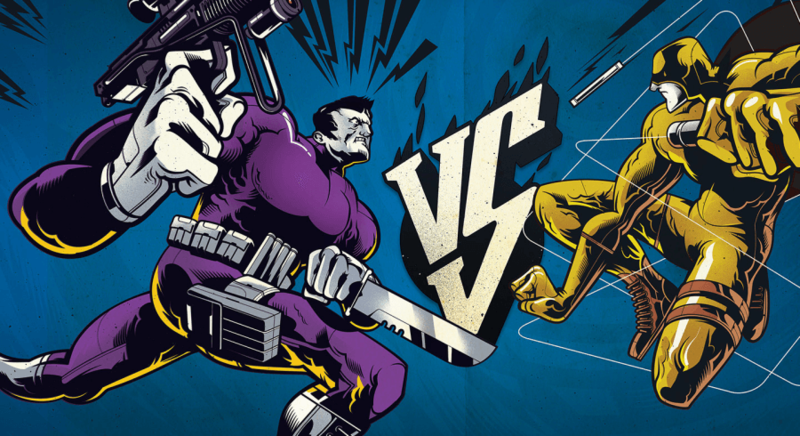 The wallet and comic are a miss for me.